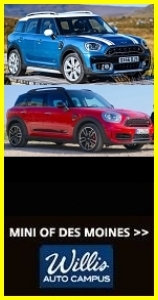 The Eastern Iowa MINIs are always on the lookout for new MINI/Mini Enthusiasts in Iowa. As one of our recruiting methods we will try and hold small get togethers in as many towns around Eastern Iowa as we can. In continuing with this we held a fun little Show & Shine event at Auto Toyz in Coralville on October 25th. 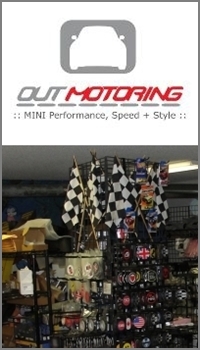 In case you’re not from the Iowa City area, Auto Toyz (www.autoyz.com) is custom one stop shop for wheels, tint, and all things audio and video for your auto, boat or RV — a great place to get together and show off our MINIs and attract some new MINI enthusiasts from the local Iowa City area while supporting a local vendor. Thank you for your interest in Eastern Iowa MINIs. We hope to see you again soon. 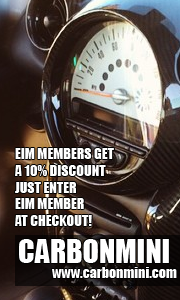 Please check this website and our NAM forum often! Looks like we had a fabulous showing at the round up! I hope we see some of these new folks at future EIM events. Did anyone leave contact info?